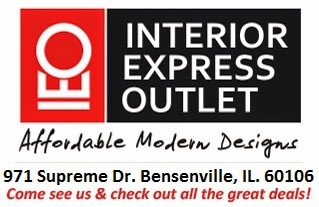 Chicago Furniture | Interior Express Outlet Blog: Modern Furniture that wont break the bank! Many think that when designing a space you have to forgo comfort for stylish. That is most certainly not the case at all! When entering a room, sometimes you might feel instantly comfortable. This isn't because of how comfy the furniture looks but because of the decor and placement of furniture. Budgets and incomes could be tight these days with our economy and sometimes big furniture pieces can be quite pricey. Luckily, we have a perfect couch that not only looks comfy, but wont break the bank. It is a quality, affordable Modern Furniture piece that will go a long way in a living room! The Baxton Studio Natalie Fabric Sofa Sectional, is a great addition to any living room. Not only does it look sleek and modern, but its very comfortable! Its at such an affordable price too! 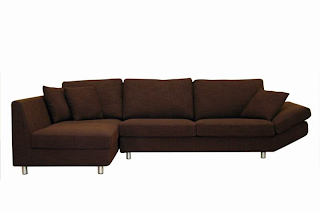 Come in and check out this Natalie Fabric Sofa Sectional at Interior Express Outlet.